The meeting between the federal government and striking members of the Joint Health Sector Unions, JOHESU, which held between Tuesday and Wednesday has failed to resolve the crisis. The leaders of various unions who convened at the meeting held in Abuja to review the negotiation between the parties did not concede to the appeal made by federal government’s negotiation team led by Chris Ngige, Minister of Labour and Employment, to end the strike. Ahead of the meeting, Mr. Ngige had accused the union of not following procedure before they began their nationwide strike. The minister who called the reconciliation meeting said the union neglected to give the government a 14-day notice required by law. While the union said the strike will continue; it, however, urged its counterparts in the state who had billed to join the industrial action on Thursday to hold for now. Biobelemoye Josiah, JOHESU National Chairman and Ekpebor Florence, JOHESU National Secretary in a joint statement, Thursday, conveyed the resolution of the union. 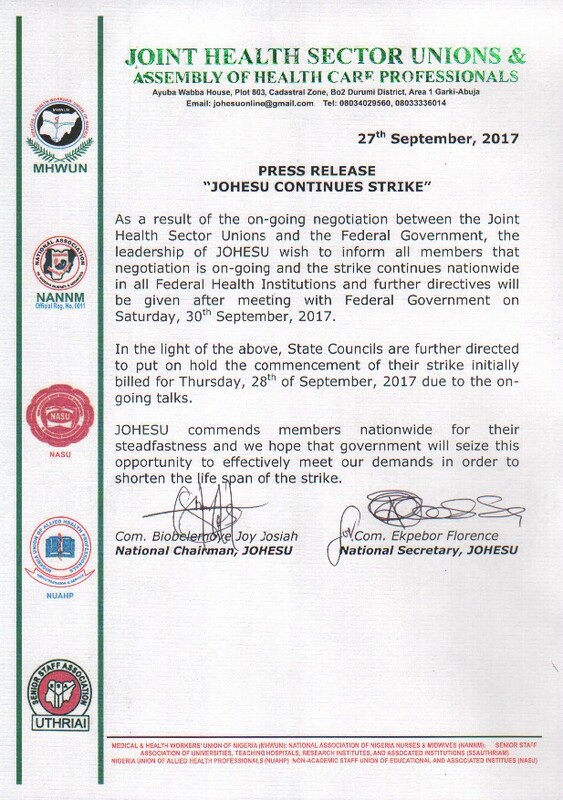 “As a result of the ongoing negotiation between JOHESU and the Federal Government, the leadership of JOHESU wishes to inform all members that negotiation is ongoing and the strike continues nationwide in all federal health institutions and further directives will be given after meeting with Federal Government on Saturday, 30th, September, 2017. “In the light of the above, state councils are further directed to put on hold the commencement of their strike initially billed for Thursday, 28th of September, 2017 due to the ongoing talks”, the statement read. JOHESU had on Wednesday last week insisted on going on strike over the alleged failure of the federal government to meet its demands. The Minister of Health, Isaac Adewole, had pleaded with the association not to embark on strike; but it ignored the plea as the strike commenced in the early hours of Thursday. The members of the union are hospital workers apart from medical doctors. 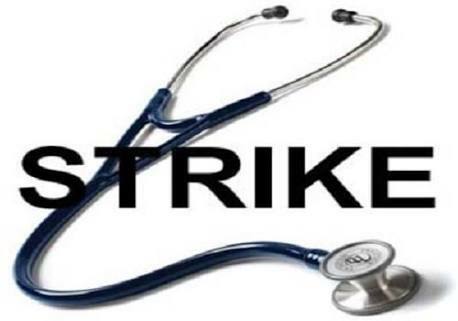 In compliance with the declaration of an indefinite strike by JOHESU, the National Association of Nigeria Nurses and Midwives, NANNM directed its members to stay away from all federal health institutions across the country. Meanwhile, checks have revealed that private hospitals, mission homes and traditional birth attendants in across the country are recording tremendous increase in patronage following the on-going nationwide strike by the health workers. 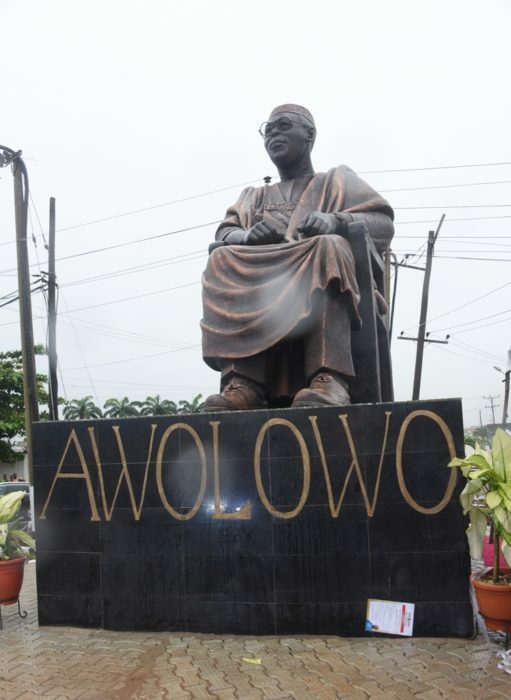 Lagos State Governor, Mr. Akinwunmi Ambode on Tuesday unveiled the new 20-feet statue of the late sage and nationalist, Chief Obafemi Awolowo in Ikeja, saying that the State was in sync with the position of the All Progressives Congress (APC) on restructuring and devolution of powers. Ambode, who spoke at the unveiling of the statue, located on Obafemi Awolowo Way by the Lagos Television (LTV) junction in Ikeja, said the party’s position, as stipulated in its manifesto, seeks to amend the Nigeria Constitution with a view to devolving powers to States and local governments in order to entrench true Federalism and the Federal spirit and that the State supports the restructuring committee of the party going round the country to achieve same. “In the same corollary, the position of Lagos State on restructuring remains the same as stipulated in the manifesto of our great party, the All progressives Congress, which states that “The APC shall initiate action to amend our Constitution with a view to devolving powers, duties and responsibilities to States and local governments in order to entrench true Federalism and the Federal spirit”. Hence, we welcome the restructuring committee of the APC presently going round the country,” he said. The governor, who also spoke when he hosted members of the Awolowo dynasty at the Lagos House residence in Ikeja, said like himself, new generation leaders have a lot to learn from the ideals and principles of Pa Awolowo if they intend to impact positively on the lives of the people they govern. He recalled that that Awolowo during his time had charged leaders in the country to rise up to the occasion to engender true federalism and devolution of powers, saying that it was only in such circumstance that can prevent the country from disintegration. “I think Papa lived above his time, he was way ahead his ideals and principles. If you talk about public discourse right now, thirty years after, the things people are talking about are true federalism and devolution of powers and state supremacy, there are things that he had actually answered to, but people were not able to put the questions together and also to process it because of the way that Nigeria had being divided into craters and valleys,” he said. Ambode said that his vision through his political journey was particularly motivated by Pa Awolowo’s principles, which were basically anchored on the improving the welfare of the people and reviving the South West region as the economic basin of the nation. “If there is anything I really want to do which I had spoke about in terms of this political journey is to touch humanity and the only example that I could see that had greater vision than anybody else is in more or less everything that Papa Awolowo stood for. So, in my own small way, I am trying to emulate, but it’s a photocopy, it’s not original, but again the ideals are the same; to strive for a better Nigeria and then to carry the Yoruba people as the real power horse for the Nigerian growth and development,” he said. 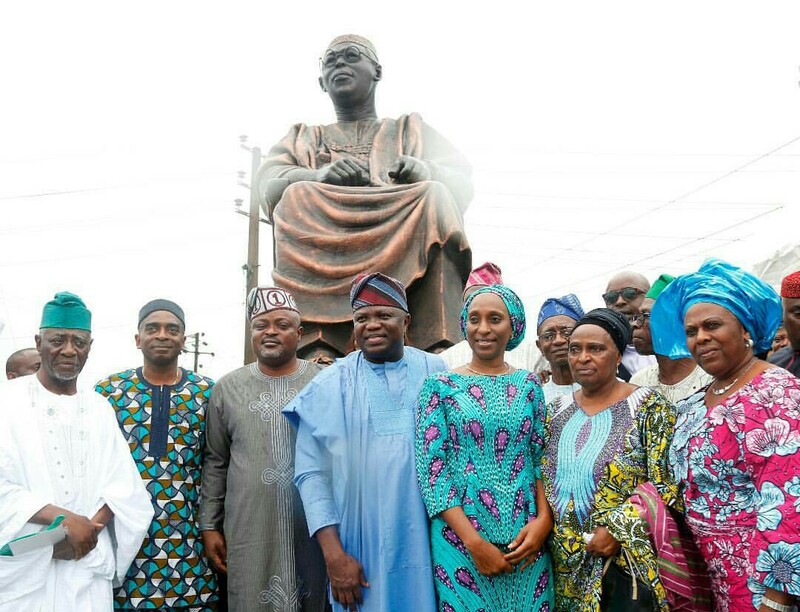 At the event to unveil the iconic statue, which was graced by prominent members of the Awolowo family, comprising of his children, grandchildren and great grandchildren, including the wife of the Vice President of Nigeria, Mrs. Dolapo Osinbajo and eminent politicians, Ambode said Awolowo’s legacies and landmark achievements, particularly in the Western region including the Lagos colony, had endured and remained a source of inspiration and benchmark for progressive leadership in the country even till date. He recalled Awolowo’s commitment to the growth and development of Nigeria especially during the post-independence era, adding he was a shining light among his contemporaries and displayed an incredible ability to use leadership as a tool for the advancement of the welfare of the people. “Thirty years after his death, his thoughts and ideas on a wide range of issues relating to the economy, fiscal federalism and education among several others, are still as relevant today as they were back in time. His legacies and landmark achievements, particularly in the Western region including Lagos colony, have endured and remain a source of inspiration and benchmark for progressive leadership in the country. “Awolowo was a symbol for the aspiration of Western Nigeria during his lifetime. His achievements remain indelible across the nation. The vision of new generation leaders like us, is to consciously rise up to his ideals and principles,” Ambode said. He said the quest to sustain the ideals which Awolowo stood for, prompted Lagos to join hands with five other South West States in the Oodua Investment Conglomerate to champion the political and economic integration of the region. The governor said the unveiling of the statue was thus in recognition of all the legacies that the Awolowo dynasty was enviably known for and the beginning of the realization of all his aspirations for a better Nigeria and the Yoruba people in particular. “This statue is not just about beautifying the environment or serving as a tourist attraction, but more importantly, it is meant to be a constant reminder to all of us and future generations of the need to value the sacrifice of our heroes and strive to uphold and promote the ideals which they stood for. May the labour of our heroes past never be in vain,” Ambode said. He said the idea for the statue which has Pa Awolowo in a sitting position was inspired by the fact that the late sage during his hay days, was not known to be one giving to sitting down majestically. “So, I made up my mind that I wanted to see him seat down majestically and actually looking at all of us and saying that, ‘okay, after 30 years where are you?’. That is the reason why we did that because I wanted to see him seat down and not standing all the time,” Ambode explained. In her remarks, daughter of the late sage, Dr. Tokunbo Dosunmu, said her late father was able to utilise taxes to drive most of his people oriented policies and that those who once criticized his tax drive later rallied round him and adopted same for economic growth. She said over the years, her late father’s success story had become a template for any government desirous of making meaningful impact in the life of its citizenry, adding that prompt payment of taxes is essential to the development of any State. While thanking the governor for the honour done to her late father, she commended him for steadfastly following the footsteps of her father, noting that Lagos under him, was recording impressive achievements. The Economic and Financial Crimes Commission, EFCC, on September 25 filed an appeal at the Sokoto Division of the Court of Appeal, challenging the ruling of the Sokoto State High Court in respect of pardon granted by the Governor of Sokoto State, Aminu Tambuwal, to five persons who were charged for fraud alongside a former governor of the state, Attahiru Bafarawa. Mr. Tambuwal, a former Speaker of the House of Representatives, is a member of Nigeria’s ruling All Progressives Congress, whose major mantra is the fight against corruption. The Sokoto State High Court presided by Justice Bello Abbas had on June 29 discharged Tukur Alkali, Bello Isah, Isah Sadiq, Habibu Halilu Modachi and Muhammadu Dingyadi from further criminal proceedings based on a pardon granted to them by Mr. Tambuwal. Mr. Tambuwal granted the pardon while the officials were still being tried for the alleged fraud. However, being dissatisfied with the ruling, the EFCC took the matter to the court of appeal seeking an order setting aside the judgment of the trial court on four grounds. The appellant argued that section 36 (10) of the Constitution which provides that “ no person who shows that he has been pardoned for a criminal offence shall again be tried of that offence” is talking about pardon after conviction and in this case, the respondents were undergoing trial when the pardon was granted. The appellant further argued that, pardon is a grace by the appropriate authority, which mitigates or obliterates the punishment the law demands for the offence and restores the rights and privileges forfeited on account of the offence which the accused was convicted of. The appellant further argued that the trial judge erred in law by relying on section 212 (1)(a) of the 1999 Constitution of the Federal Government of Nigeria (as amended) in discharging the accused person, adding that section 212 (1)(a) of 1999 Constitution is inapplicable in the circumstances of this case. According to the appellant, a governor of a state can only exercise his prerogative of mercy to a person who had been convicted by a court of competent jurisdiction. It contended that the trial judge erred in law by allowing the Governor of Sokoto State to not only interfere or discontinue with criminal proceedings but one undertaken by the agent of the Federal Government of Nigeria. The EFCC is a creation of the National Assembly, with powers to investigate and prosecute persons suspected to have committed an economic or financial crime. As a agency of the federal government, the commission is not under the regulation or direction of a state governor in the discharge of its duties and a state governor is not entitled to interfere with the functions of the EFCC. “Nolle Prosequi” by the appropriate Attorney General is the only permissible procedure to terminate or discontinue criminal proceeding against any person. 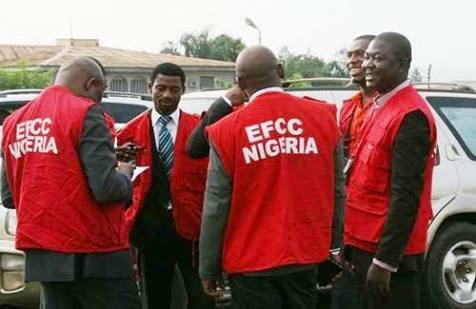 “A state governor is not empowered to discontinue a criminal proceedings under the guise of prerogative of mercy”, the EFCC said. The Director of Army Public Relations, Sani Usman, made the announcement in a statement in Maiduguri. 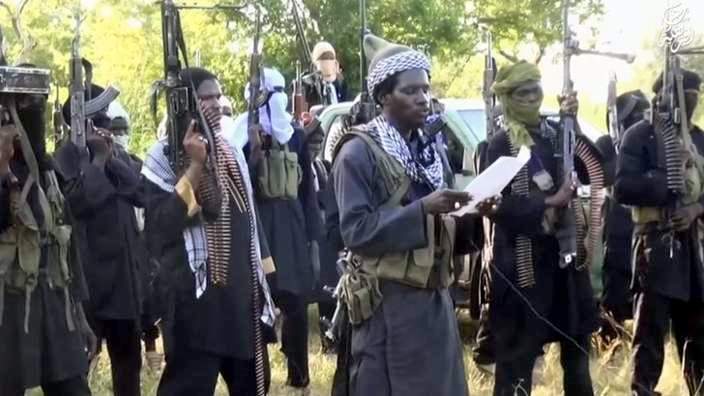 According to the spokesperson, Idris Ibrahim Babawo, a top Boko Haram commander, is identified as number 156 in the Boko Haram wanted list. Mr. Babawo, 42, who also goes by the name Idoko or Nagada, was captured while trying to evade arrest. Mr. Usman, a brigadier general, said that the jihadist had since been handed over to the military. Mr. Usman said that preliminary investigations showed that the suspect hailed from Chinade village in the Katagum Local Government Area of Bauchi State. He said that Mr. Babawo escaped from the North-east because of what he described as sustained military onslaught on the insurgents. The Federal Government on Tuesday expressed its readiness to contain further spread of yellow fever in the country. The Chief Executive Officer, Nigeria Centre for Disease Control, NCDC, Chikwe Ihekweazu, said this in a statement he issued in Abuja. He also said that the government would also limit the impact of the killer ailment. Mr. Ihekweazu said that following the case of yellow fever in Kwara State, laboratory diagnosis was carried out at the Lagos University Teaching Hospital and confirmed at the Institute Pasteur, Dakar, Senegal. He said that a multi-agency Incident Management System has been constituted at the NCDC to ensure a rapid and coordinated response. “In response to the case, and in line with WHO guidelines, a vaccination campaign is being planned to begin in the affected and surrounding Local Government Areas on 30th September to prevent further spread. “Communication activities are being intensified to enlighten health care workers and the general public,’’ he said. He also said that an Emergency Operations Centre is being activated in the state to ensure a coordinated and efficient response at the state level. The NCDC boss described yellow fever as an acute viral haemorrhagic disease transmitted by infected Aedes mosquitoes. He listed the symptoms to include fever, headache, jaundice (yellowness of the eyes), muscle pain, nausea, vomiting and fatigue. According to him, some infected people may not experience any of these symptoms, while in some the symptoms might be mild. He added that in severe cases, jaundice and bleeding may occur from the mouth, nose, eyes or stomach. 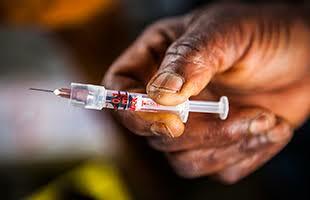 Ihekweazu said that vaccination against the disease remained the most important measure in preventing Yellow Fever. He said the Yellow Fever vaccine had been part of the childhood immunisation schedule in Nigeria. “Other methods of prevention include using insect repellents, sleeping under a long-lasting insecticide treated nets, living in net screened accommodation, ensuring proper sanitation and getting rid of stagnant water or breeding places for mosquitoes. “Although there is no specific medicine to treat the disease, intensive supportive care can be provided, most patients would recover with appropriate care when they present early enough,” he said. He, therefore, advised health care workers to practice standard precautions while handling patients or body fluids at all times and to be familiar with the case definition and maintain a high index of suspicion. Mr. Ihekweazu advised Nigerians to remain calm, avoid self-medication and report to the nearest health facility if feeling unwell or if they notice any of the above symptoms in anyone around. 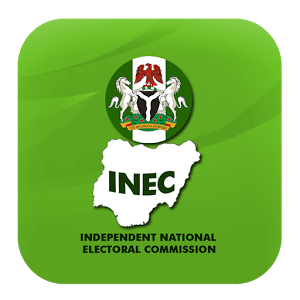 The Independent National Electoral Commission (INEC) has denied having any link with Facebook for online registration for Permanent Voter Card (PVC). It described such Facebook account link as fake. The commission made the denial in a statement signed by the Chief Press Secretary to INEC Chairman, Mr Rotimi Oyekanmi, and posted on its online news portal (http://inecnews.com). Oyekanmi advised the public to disregard the fake Facebook platform as it was yet to commence online registration for PVCs. “INEC wishes to inform the general public that it is not in any way associated with a Facebook page called `INEC Nigeria Online,’ with the Uniform Resource Locator (URL) https://web.facebook.com/INEC-Nigeria-Online-1211567328987773/. “Some unknown persons opened this Facebook platform with all intents and purposes to lure unsuspecting Nigerians into believing that they can apply online for the Permanent Voter Card (PVC). Lagos State governor, Akinwunmi Ambode is seeking the approval of the State House of Assembly to re-order the 2017 Budget. The News Agency of Nigeria (NAN) reports that Ambode’s request was contained in a letter he personally signed, and which was read on the floor of the House by its Clerk, Mr Azeez Sanni, during plenary. According to the request, a total sum of N42.028billion comprising N31.105 billion from capital expenditure and N10.922 billion from recurrent expenditure will be re-ordered if the proposal is approved by the assembly. This is even as the House of Assembly has assured tax payers in the state that it will not compromise standards and promised to protect tax-payers’ interests in the ongoing review of the Auditor General’s report. The governor said that the re-ordering would help the state government to upscale the road construction and rehabilitation going on across the state to improve connectivity. Ambode also said that part of the re-ordering would be spent on purchasing 700 buses in line with the state transportation reforms. He added that the re-ordering would also enhance the upgrading of equipment for the State Emergency Management Authority and for improved security equipment for better surveillance. According to him, the re-ordering will, however, not affect the total budget of N813 billion passed by the House for 2017. 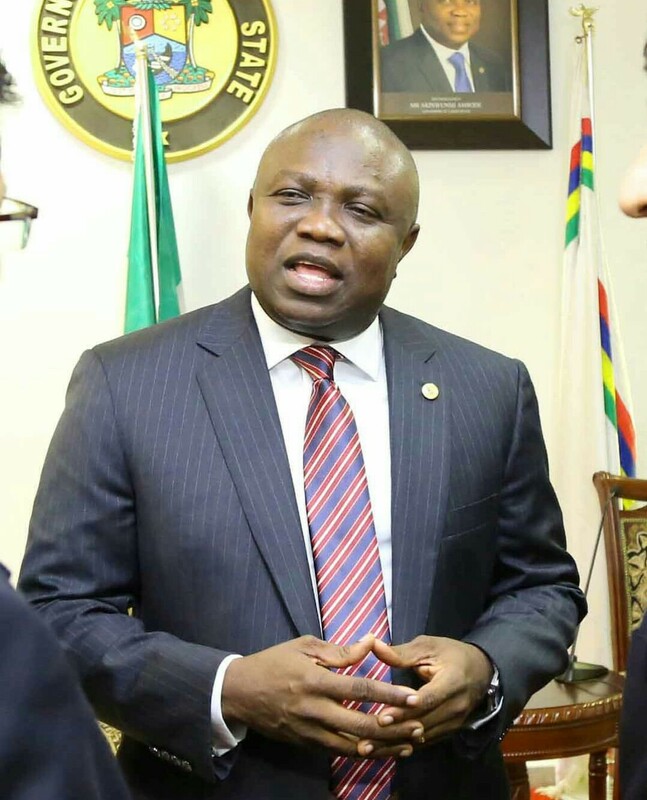 Ambode said in the letter that the state government had successfully achieved 64 per cent of the 2017 budget by the middle of the year, adding that the re-ordering was necessitated following a review of the priorities of the state government. “It is now expedient to re-order the budget to address some of the critical expenditures to enhance efficient delivery of services. “We want to provide world class infrastructure for the people of the state. “The proposed re-ordering is expected to increase the tempo of good services and address the priorities of the state government. “It will address main fiscal strategy and sustain expenditure profile, it will drive capital expenditure by improving the capital recurrent ratio,” the governor said. In a related development, the House of Assembly Committee on Public Accounts (State) has vowed not to compromise standards and promised to protect tax-payers’ interests in the ongoing review of the Auditor General’s report. The committee Chairman, Hon Moshood Oshun, made the remark at the opening of the review of the Auditor General’s report on Ministries, Parastatals and Agencies (MDAs) for 2016 on Monday. Oshun said that the House, under the leadership of the Speaker, Mudashiru Obasa, would not cut corners or hide under-one-finger. “We will guard the interests of the people of Lagos State and ensure that tax payers’ money is judiciously spent. We will not compromise. “The House will give the people the best and we will make sure that Lagos State continues to be the best. “All hands must be on deck for the state to continue to excel. So, it is not something that can be done alone, we must all work together,’’ he said. According to him, the committee through the help of experts, would properly scrutinise the financial reports of the auditor-general on MDAs during the annual exercise. On what the committee has observed so far, Oshun said that it was too early to make an assessment, but that the MDAs have done well on the average. “You know, Lagos State is above other states. We expect a certain level of perfection in the state. We have asked the MDAs some information and they have been answering us. “The Auditor General has done her job with her team, but we need to verify the report. There is something called fair hearing; we don’t want to be prejudiced, we want to hear from everybody. “We will ask them questions, where we need clarifications, and we will applaud them where they have done well. “However, I can say they have done well generally. The Auditors have done a good job and they have made sure that everything we need in that report is included in it. “I want to commend the Auditor General and her team for doing a good job, they have shown that Lagos State is better than others,’’ Oshun said. The lawmaker said that all the MDAs had full budgets, adding that the committee wanted to make sure that the budgets were followed to the letter. According to him, the exercise is to make sure that those things that should be done are done properly, in accordance with financial rules. The News Agency of Nigeria (NAN) reports that the committee had taken the report of the state Number Plates Production Authority and the Deputy Governor’s Office. The committee, however, directed the officials to go back to perfect their papers, which he said did not tally with the Auditors’ reports.